There were some big surprises to me as to what made our list of top posts of 2016. I am a very analytical person and I love looking over data. This isn’t for most people but something about it interests me a lot. So I wanted to share with you what I have found to be the top posts of 2016 for Streamlined Gaming. These posts are in no particular order and I would like to note that my interview along with Elly’s interview were left out of this list even though they both ranked highly in several of the factors. The factors consisted of stats such as “most page views” and “longest time spent on page” among others. 1. How I Print Card Games at Home – The popularity of this article actually surprised me. When I wrote this I was unsure if it was even a good idea. If anyone would even care to read it. But it turned out to be one of our top posts of 2016. People seemed to enjoy seeing my process and comparing it to the process they currently have in place for printing card game prototypes. 2. KC Interview about Bringing Africa Together Through Game Design – KC was our first person to interview that wasn’t someone I knew in person. I loved his story and it was really awesome how he has brought so many people together through his passion of making games. He co hosted the first ever African Board Game Convention (ABC Con 2016). Interesting fact: The most popular feedback I received about his article was that viewers found it interesting that he started making board games just so his friend wouldn’t be bored. 3. 10 Games for 10 Year Olds – This list was really popular around the holiday season as parents searched for games to get their 10 year olds. We plan on making more lists like this to include other age ranges. I had a lot of fun making this list because it reminded me of all the games I liked at that age. And I remembered the games that made me interested in making my own games. 4. Why People Play Games – I am naturally a very competitive player and it’s important for me (and others like me) to understand that most people play games to simply “have fun”. As a game designer it helps me to know how to make games better. This is a big reason why we are creating posts like this. To understand our target audience better while building a more welcoming gaming environment for all. 5. 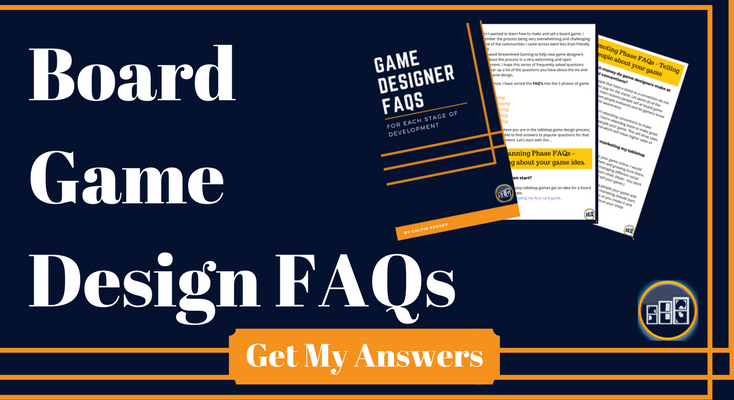 Interview with the President of Passport Game Studios – I got to interview my long time friend Scott Morris about what publishers look for when working with game designers. He also told me about the future of digital playtesting through software like Tabletopia. I personally enjoyed his “do’s and don’ts” of pitching to a publisher. Something I have wondered about for a long time. 6. Aliens vs. Animals – This was Streamlined Gaming’s first creative challenge where we made up a new bluffing game and had you “gamestorm” (brainstorm) ideas for the cards. The post wasn’t viewed a lot compared to others on this top posts of 2016 list, but I added it because the people that did read it seemed to like it. I measure that by the time they spent reading it among several other factors. If you are up for a good challenge then this is a good place to start. 7. 20 Popular Board Game Types – When I started making games I didn’t know a lot of the terminology. So now that I am teaching others to make games I thought this would be a good article for viewers to start with. People really loved this article and have seemed to refer to it a lot. I would like to point out a mistake I made when I first published the article. The article is really long and originally had a long intro as well. I ended up taking out most of the intro and replacing it with a table of contents that you can click on to quickly navigate the page. This made the usability of the page 10x better. 8. How to Make a Digital Card Game – I met Yang Pulse through a mutual friend (Josh). Yang is very smart and has been learning the ins and outs of making a digital card game. This seems to be the natural evolution of game designers in today’s world. First you play games. Second you want to make a game so you start with a board game because it’s the easiest. Then if you are really ambitious, you make a digital game like Yang and his team did. I found this interview to be one of my favorite of our top posts of 2016 because I love how many possibilities are opened up for me as a game designer with digital card games. But I had little to no idea how it was done before I talked to Yang. 9. How Guys Can Make Girls Feel More Welcomed at Gaming Conventions – First off I want to apologize to the people I offended that didn’t like the terms I used for this post (“guys” and “girls”). My intention was to include both girls and women (all ages of females). But some people don’t believe that “guys” is synonymous with “girls” and I am sorry. I will do better in the future and I promise you that my last intention was to upset anyone with this post as these posts are meant to break down barriers and make gaming more welcoming to all. 10. Evolution of Prototyping (Microsoft Word) – The 2nd part of our prototyping series was about how I used Microsoft Word to make my card game prototypes. I don’t recommend this method now that I know how to use NanDeck but I think it’s interesting to see what steps I took to get to where I am today. In 2017 one of my primary goals is to teach you how to use NanDeck because it is by far the best software I have found for making efficient and good looking prototypes. We had a great year trying to figure out how to best help and encourage you to make great games. And we continue to think of new ways to teach you in 2017. If you have any suggestions on skills you want to learn more about, then let us know in the comments below and we will figure out how to help you. I hope you had an amazing 2016 and have an even better 2017. Thanks for reading and good luck creating!